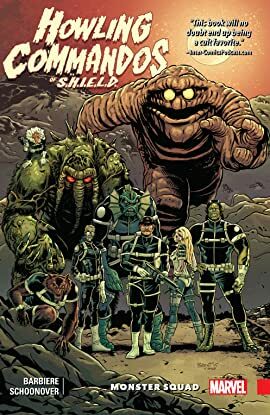 Collects Howling Commandos of S.H.I.E.L.D. #1-6 and material from S.H.I.E.L.D. (2014) #9. Hidden deep beneath Area 13 lies the clandestine headquarters of S.T.A.K.E. — a top-secret division of S.H.I.E.L.D. housing aliens, mythical beasts and all manner of extra-normals. Now, under the command of legendary soldier — and newly resurrected Life Model Decoy — Dum Dum Dugan, these monsters step out of the shadows to defend the world against threats too dangerous for normal men. 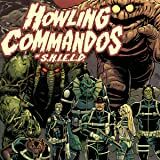 They are the Howling Commandos of S.H.I.E.L.D.! But as a conspiracy grows within the ranks of S.T.A.K.E., Dum Dum struggles to hold his team together. A mysterious foe makes his move, new member Glyph's secrets are revealed, and the Commandos take on the Sphinx in a supernatural showdown!